Check out the silly baby. 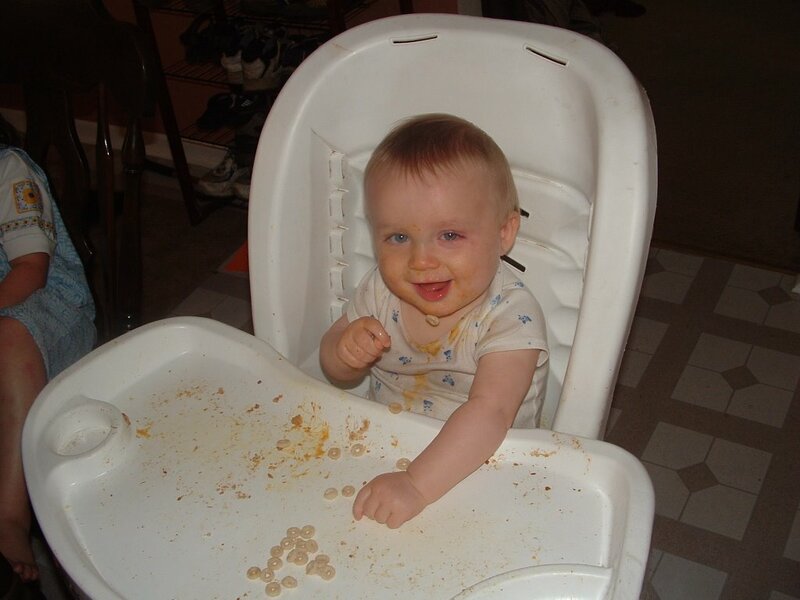 He loves food, and the messier, the better! He has a cheerio hanging from the drool on his chin. How fitting!